A favorite place to be, the Lexington Dining Room Table provides the centerpiece for your gathering space. 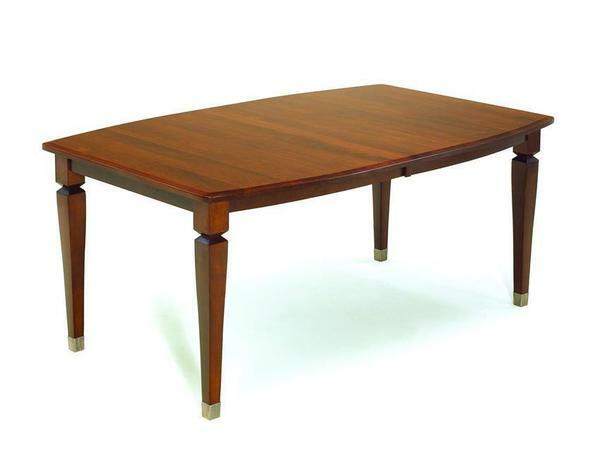 The daily meals, holiday meals, celebrations, work projects and important meetings all require a solid table you can count on. The Lexington is leggy and luxurious, handcrafted in the solid wood you select. We have to say that the Lexington's got great legs! Tapered perfectly with a metal foot accent on each one, these stems show off fine Amish woodworking and are one of the details that make your new Amish table stand out. Choice of solid top or add up to 4 extensions, each measuring 12"
If you'd like help with choosing wood types, finish colors, table shapes or dimensions, our team of Furniture Specialists is here to help. We dedicate ourselves to connecting you with authentic solid wood furniture built just the way you want it. Email or call us today so the building can begin!